First and MSc degrees in Physics at the Technion. PhD in Physics at Stanford University, California. Participated in the Technion Excellence Program: 1995 – 1998. Erez expanded his curriculum to include courses from other faculties and higher degrees. During his last undergraduate year he started his second degree in physics. About the Program: "The multi-disciplinary Program is what assisted me to develop a wide perspective as well as my ability to understand and analyze subjects from different and varied areas." 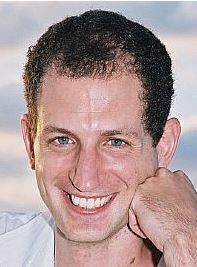 Today (2012): Erez is doing his Postdoc in physics (condensed matter theory) at Harvard, Cambridge, MA (USA). Recommendation to Program participants: "Take your time, study deeply. It will be harder to do later in life."